Michael Eagen is a litigation lawyer in Dinsmore's Cincinnati office. Mike has litigation experience in the areas of personal injury, property damage, product liability, professional malpractice, insurance coverage, toxic torts, commercial law and mass torts. He has been primary trial counsel for trials in Ohio, Michigan, Kentucky and Pennsylvania, with more than 60 cases tried to verdict or judgment. He has served as a state and federal court appointed arbitrator and mediator. Mike served in the United States Army from 1968 to 1971. Upon discharge, he had achieved the rank of first lieutenant. Mike has been involved in product liability defense work for the full extent of his career representing manufacturers of exercise equipment, medical devices, toxic substances and various other products. Most recently he has been involved in major product liability litigation involving claimed defects in motor vehicle products. Over the years Mike has represented numerous insurance companies involving claims of bad faith, inappropriate claims handling and coverage issues. For more than 30 years, Mike has represented numerous defendants in the asbestos personal injury litigation including the trial of cases in Michigan, Ohio and Pennsylvania. In the 1980's, he was the lead defense attorney in southwestern Ohio for the Asbestos Claims Facility representing approximately 30 manufacturers and 20 insurers in the litigation. His original clients were The Celotex Corporation and Keene Corporation, manufacturers of asbestos-containing insulation. In recent years, he has represented more peripheral defendants dealing with issues such as product exposure, medical causation, federal pre-emption and applicability of tort reform legislation. Mike has been involved in the representation of defendants in mass tort litigation including suits involving asbestos, silica, breast implants and tobacco. Among other issues, this litigation involves MDL issues, class-action issues, industry-wide discovery issues and complex case management issues. Currently, Mike is serving as Lead Defense Counsel in a MDL involving athletic shoes. He has been involved in numerous appeals of matters he has tried and occasions where he has been retained as appellate counsel. This work has primarily taken place in the Sixth Circuit Court of Appeals and the First District Court of Appeals of Ohio. 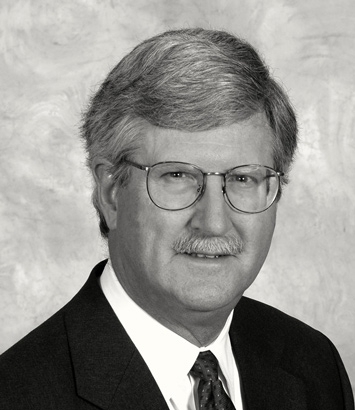 Mike has been involved in a number of cases involving contract interpretation disputes primarily involving the construction industry. These lawsuits have involved cost overrun issues, bid document interpretation issues and specification compliance issues. Historically, Mike has represented numerous defendants in lawsuits involving motor vehicle accidents primarily as referrals from liability insurance carriers. Recently, he has become involved on the plaintiff's side in a number of high-value motor vehicle accident cases. He has represented doctors, podiatrists, hospitals and attorneys who have been sued for professional negligence. Most recently he is defending an investment advisor in a case involving ERISA and due-diligence issues.